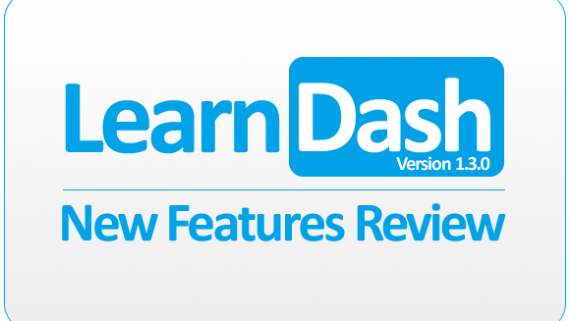 In my previous blog post, I did a quick review of the new WordPress LMS Plug-in by LearnDash. 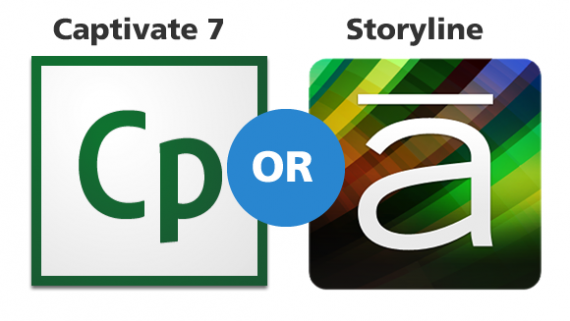 One of the reasons I was so interested in investigating this new LMS option, was that I was curious to see if it would be a good low cost solution for hosting courses created with Articulate Storyline. 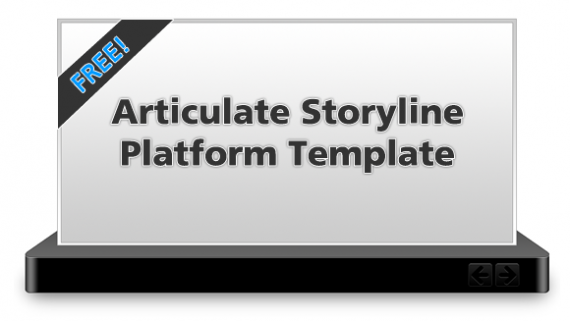 Over the past few weeks, I’ve been experimenting with the “One Click Upload for Articulate Storyline” extension that is available in the LearnDash library. 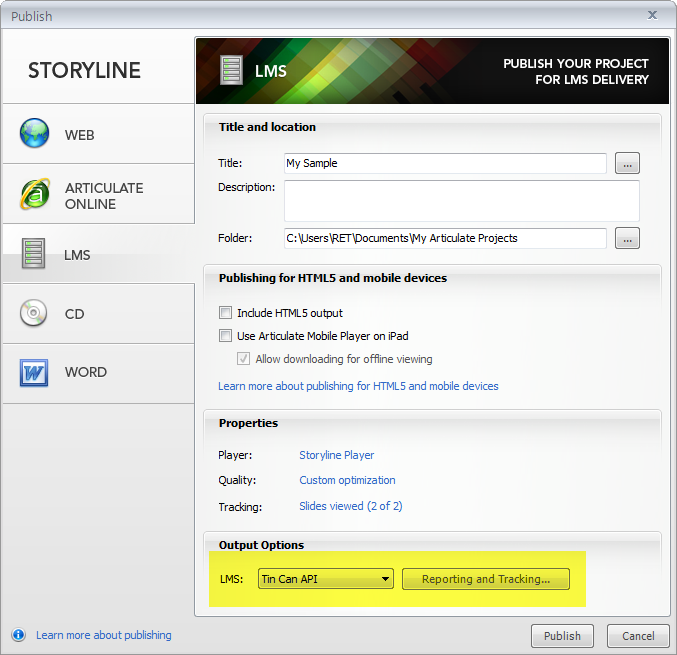 In this post, I’ll cover the basics of using the plug-in to help you get started using Storyline content in your Wordpess LMS installation. Installing the plug-in is the same as installing a standard plug-in for WordPress. Simply download the zip file from the LearnDash library, and access the Plugins area of the WordPress Dashboard. From there you can upload the zip file and activate the plug-in. You will then have access to a new menu item labeled, “xAPI Content”. Be sure to copy the Endpoint, Login and Password to notepad or some place that you can easily refer to later. 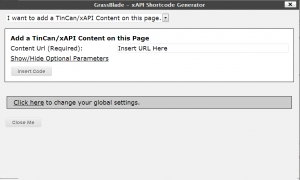 Selecting the Tin Can API option for publishing will generate an xml file titled tincan.xml in your published project. This file along with the other published project content should be uploaded in zip format to the WordPress LMS. 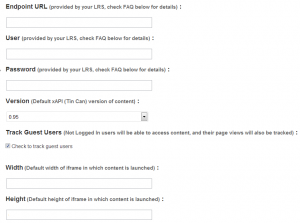 At this point you will see your URL in your WordPress text editor. 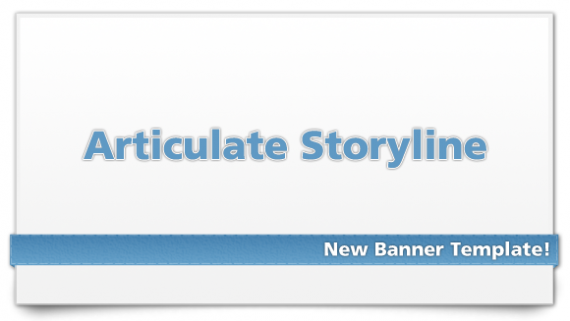 If you preview the page, your Storyline course should appear within the page. You can view a demo site that I created HERE to see how this is implemented on a live site. 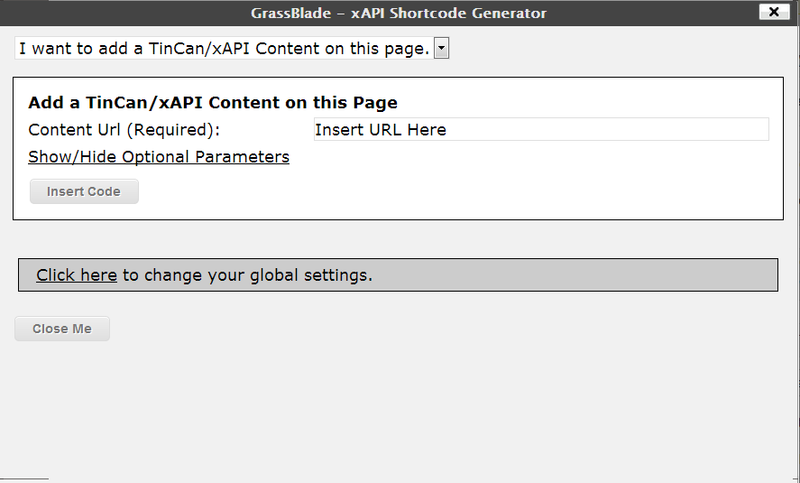 (Please note that the GrassBlade xAPI integration is developed by Next Software Solutions). Once learners begin viewing your content, you can log into your LRS account and view the Tin Can statements in your Activity stream located in your dashboard. According to LearnDash, you can contact Saltbox if you need any customized reporting developed. As you can see, integrating Storyline content into WordPress using the LearnDash plug-in is pretty simple once you have everything set up. To further assist you, I’ve created a quick reference guide that you can download below. As always, I’d love to hear from you, so feel free to post questions or comments. In my next blog post, I’ll share some helpful tips related to tweaking and selecting a WordPress template that works best with the LearnDash plug-in and embedded Storyline content. 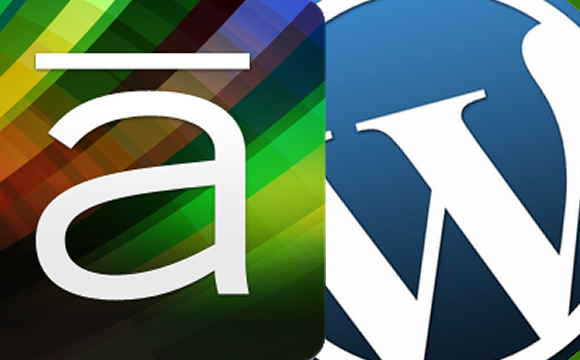 I’ll also provide some suggestions of additional plug-ins you can use in conjunction with LearnDash to add even more functionality to your WordPress LMS site. what a great write-up, thanks for doing this. On a side note, for the demo site you created, you should “uncheck” the “use default template” checkbox in the “Options for Courses” menu. 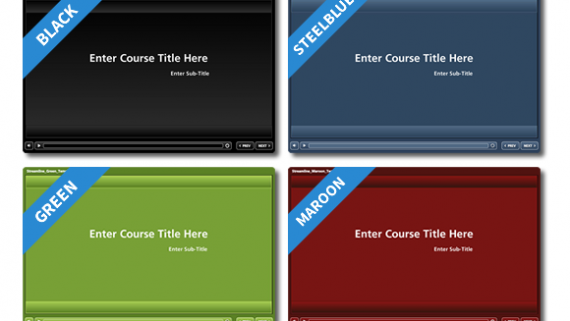 It will make the courses take on the theme template and look a bit smoother. (We’re removing this feature altogether in our next release). Also, please note that the GrassBlade integration is a plugin created and supported by Next Software Solutions. Please mention them in this article, and I’m sure they’d appreciate a link as well. Thanks for the clarification. I’ve updated the blog post and also added a link to the Next Software Solutions web site. Just trying to get my course to pop up like a light box. You may want to contact LearnDash support to ask them how to integrate with lightbox. Sorry I have another question. I don’t seem to understand the reports that Wax LRS makes. I would just to see if the student passed, failed, and the time they spent in a course in a nice report. All I see is verbs. Hello. 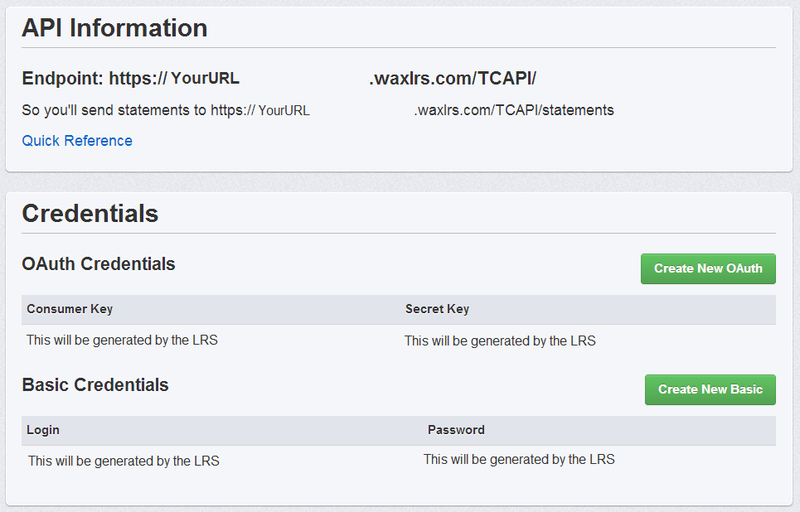 Those are the default reporting settings that come with your Wax LRS account. You might be able to contact SaltBox and ask them to make you a custom report if you let them know what data elements you need in your report. Good luck! I hired a contractor to set all this up on my WordPress site. I’m a little confused and/or disappointed. What information is transferred from the Storyline output to the WordPress site? Is it just transferred to Saltbox, with minimal to no reporting features… i.e. How do I find out which Storyline lessons a student has completed, and how well s/he scored? And, if I do have access to this information through the LRS, how do I incorporate it into a LearnDash lesson? Hello, thanks for your comment. 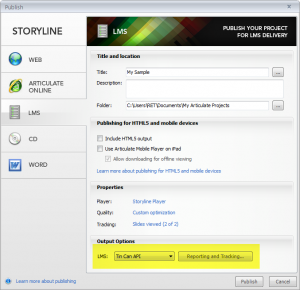 When using Storyline with the WordPress LMS Plug-in, data isn’t transferred to WordPress, but rather to the LRS (SaltBox in the example in this blog post). 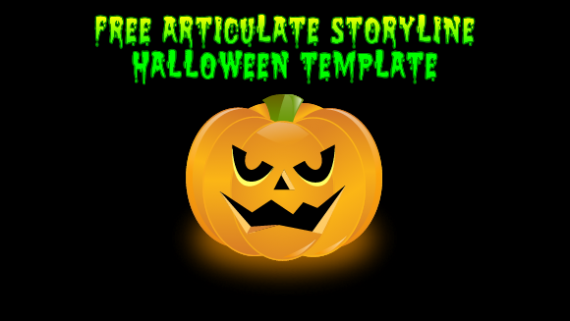 However, what the WordPress Plug-in does allow you to do is embed content that is created in Storyline into a page in your WordPress site. Out of the box when viewing your Tin Can statements in the SaltBox LRS, you will only see the Activity stream. If you need specific reporting information displayed, I think the team at SaltBox will create custom reporting for you. You may also want to contact the team at LearnDash if you have specific questions, they are pretty responsive. I’m sorry you disappointed so far, hopefully they can help you get your site setup they way you envisioned. We can build custom Tin Can reports specific for your needs that you can see right on your WordPress. Good part is that we have experience showing Real usable names instead of random string for the content. Question: I am thinking of building a membership site using WordPress and Premise. 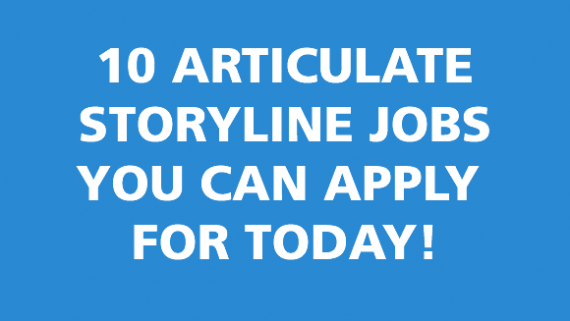 Will the approach you outlined above work with that combination? I haven’t used Premise before, but if Premise allows you to manage access to certain pages/sections on your site, it should work. What you would need to do is upload your course to WordPress via the GrassBlade plug-in (assuming you aren’t interested in using LearnDash), then you set your permission on the page that you inserted the Storyline course into via Premise. I hope that helps. Thanks for the info…. I’m just trying to figure out what will be the easiest… and yet powerful enough to run a real business on. I did all the steps and bought everything needed to set my wordpress LMS up, yet when I uploaded the tin can API to my wordpress lesson it was uploaded successfully but the lesson never loads and it keeps on giving me the error 403 forbidden…..
I’m shocked I really want to use the feature where I’m able to upload my articulate storyline courses as a business yet I couldn’t..
Are you using some type of WordPress Membership plug-in that might be blocking your ability to see the content? 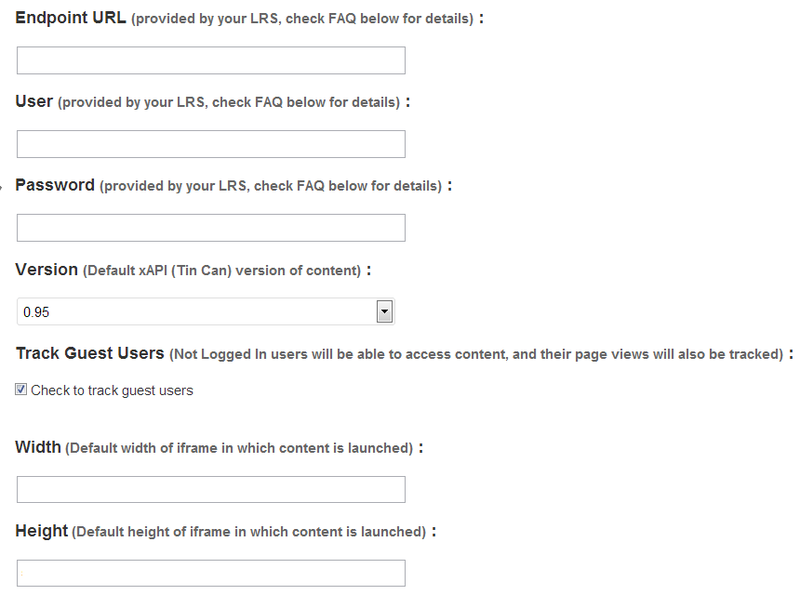 If so, make sure you are logged in as a registered user in order to see the content. You may also want to contact either LearnDash Support at support@learndash.uservoice.com or contact support for the GrassBlade Plug-in at contact@nextsoftwaresolutions.com. 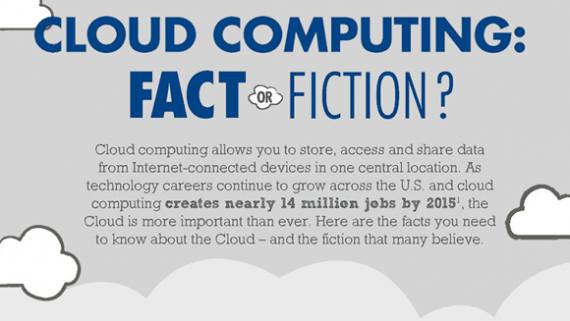 They might be able to help you troubleshoot. Hello I made a user name to log in and see the content but it doesn’t let me at all? Please help me if you have a screenr with the exact steps as I still haven’t managed to show the lesson in tin can API content. Hello! You may also want to contact either LearnDash Support at support@learndash.uservoice.com or contact support for the GrassBlade Plug-in at contact@nextsoftwaresolutions.com.